One of you lovely lot emailed me last week asking if I had any "go-to" websites for french style kitchen accessories. It just so happens that Divertimenti have launched a new french kitchenware range. 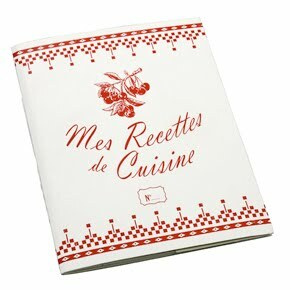 Comptoir de Famille is a beautiful range of 250 french inspired items including this red checked recipe pad. Click here to browse.